MT13GXG SEAT LEON 1.6 TDI SE 5d 105 BHP- 58k miles . 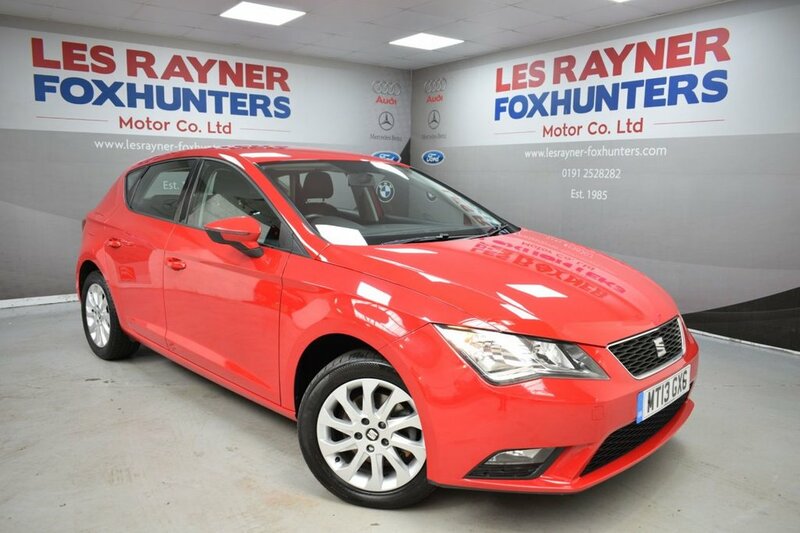 The SE model looks stunning in RED and boasts a spec of 16" alloy wheels, cruise control,DAB radio, air conditioning, bluetooth,, multi functioning steering wheel, electric windows and remote central locking. The 1.6TDi is free to tax for the year due to its extremely low emissions meaning it is incredibly economical with Seat fuel consumption figures showing 85mpg extra urban and 74mpg combined. Superb value for money at this price! TO VIEW ALL OUR STOCK VISIT www.lesrayner-foxhunters.co.uk We are a family run business that has been established since 1982.All of our cars are HPI clear and come with a 12 month MOT, Full Service and Pre Delivery Inspection so you can buy with confidence. Personalised Videos and Facetime available! LOW RATE FINANCE! BESPOKE HIRE PURCHASE, PCP & LEASE PURCHASE PACKAGES! PART EX WELCOME! NO SALES ADMIN FEE!